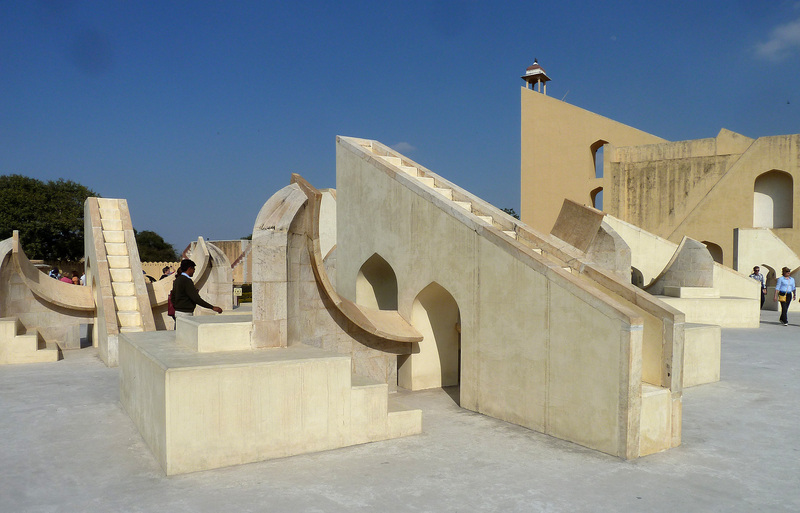 The Jantar Mantar, or the Royal Observatory. 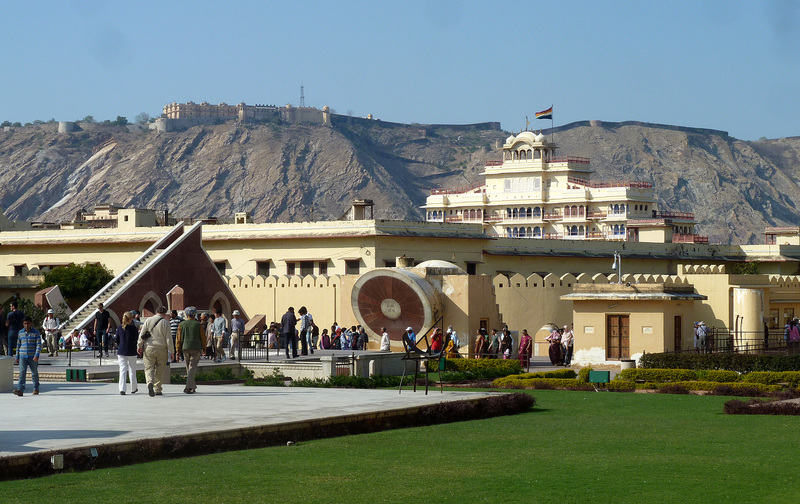 When the emperor Jai Singh laid out his new town at Jaipur, he wanted to give it every luxury so between 1728 to 1734 he established a huge astronomical Observatory. 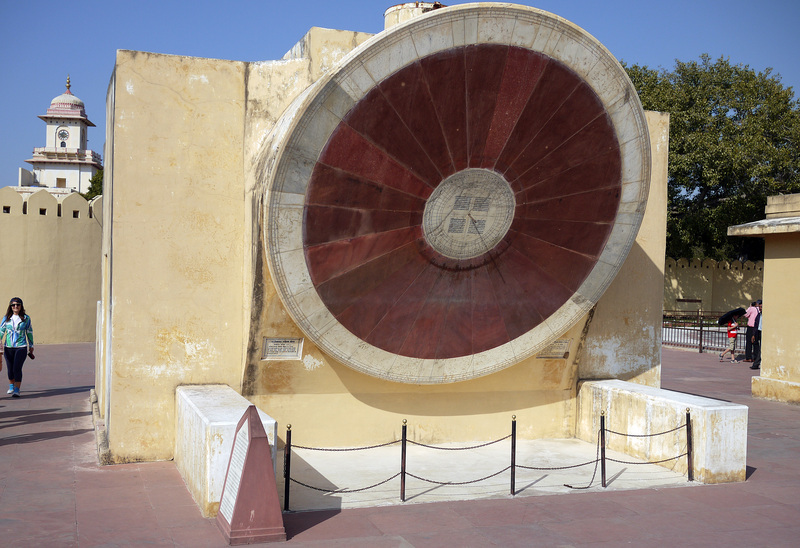 Jai Singh was something of an astronomy enthusiast, for he also established five other observatories including one in Delhi, but this is the biggest and best preserved. It consisted of 18 stone built astronomical devices mostly based on Arabic bronze devices, themselves based on Greek ideas. Not a radar disk – it’s just another instrument for astrological calculations. A large group of the instruments were astrological devices representing the 12 signs of the Zodiac. 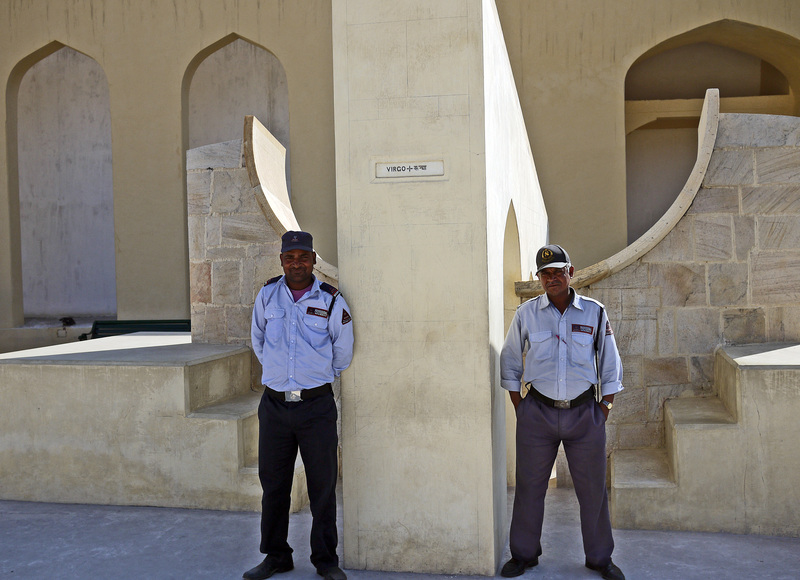 I couldn’t resist photographing Virgo, with these two very masculine guards in front of it. This gives a good idea of the jumble of all the devices to be found here, an astrologers delight… It has all been beautifully restored with the stone cleanly cut. I gather there was a period of abandonment in the 19th century, but that it was rescued by Major Arthur Garrett inn 1876. But I suspect that another major restoration has recently taken place in preparation for it becoming a World Heritage Site. The observatory is placed in the centre of the town. Here one can see the Palace just over the other side of the wall and in the distance the hills with another fortification on top of them. 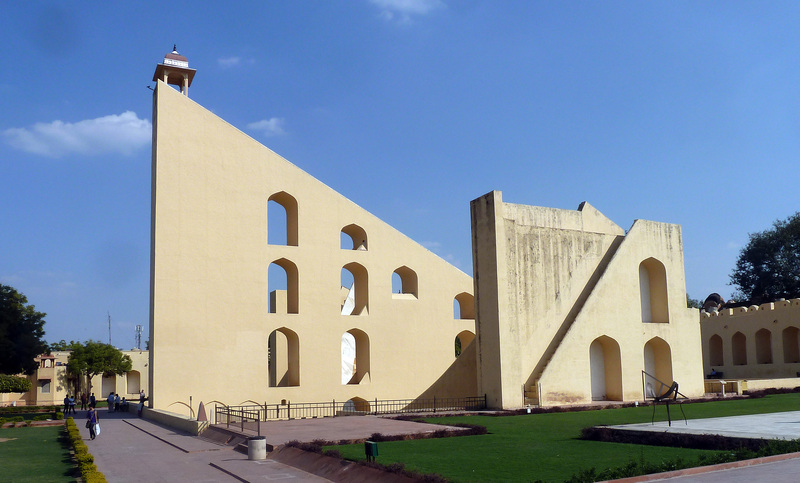 But I could not help feeling that this whole observatory represents the tragedy of India, for while India was capable of, and had the resources to produce these magnificent structures, away in the West, a revolution was underway. The telescope had been invented and the sky was being explored. Even more significant was the Longitude Act of 1714 setting out a prize for determining longitude which led to the production of Marine chronometers that even in the bucking of a ship could keep time more accurately than the huge sundial. In the West, the Industrial Revolution was taking place, and India in all its magnificence trundled on down a blind alley. 29th April 2013, recovering from flu!